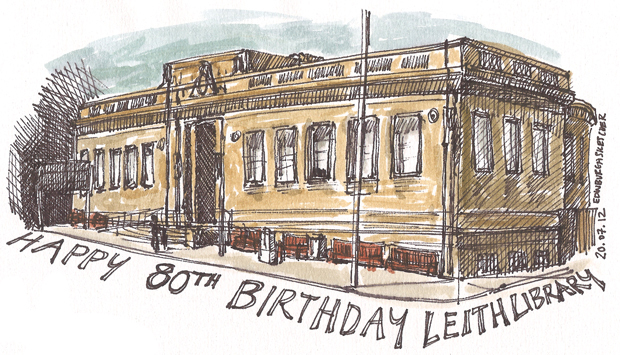 Happy birthday to Leith Library, celebrating 80 years of being open to the public. On 20th July 1932 the Leith Library and New Town Hall was officially opened. Today the library is celebrating by holding a number of events so head along and support your library today. From 1pm today, Friday 20th July: The library is transported back to the 1930s with music and stories from the grand opening; craft events for children; photographs ranging from the libraries 80 year history; plus a facinating display of library artifacts and documents.